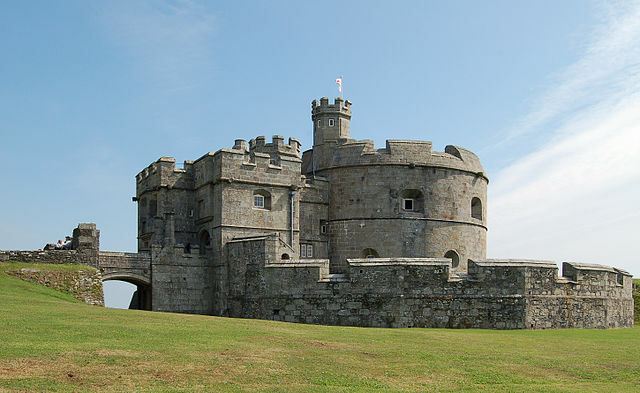 Notes: Pendennis Castle was built as one of a chain of forts running along the coast of the southern half of Britain from Hull to Milford Haven. This was in response to the threat of invasion to Henry VIII from the French and Spanish. Henry had changed the religion of England to Church of England so he could get a divorce, money and more power over his country. The pope had asked the French and Spanish, who both had strong armies, to invade England to perform a restoration on the country's religion. Henry knew that the two countries knew of the area, as when the French and Spanish had a war a couple of years before they had fought in the Carrick Roads, so they knew that it was unguarded, and so Henry believed this would be a target that the French and Spanish would choose to attack from.